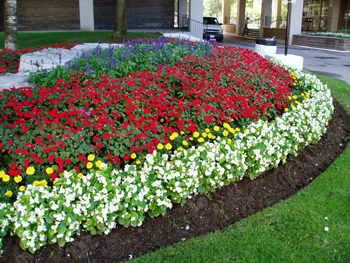 The planting of annual flowers are an essential enhancement to any well manicured commercial or residential property. 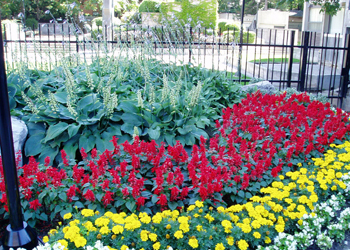 A true "annual" completes its entire life cycle in one growing season. 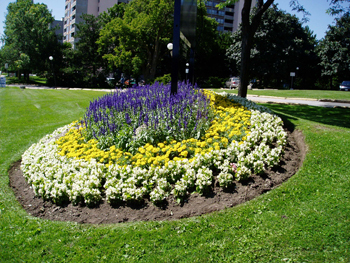 This means that they germinate in the spring, grow, flower, mature and set seed, then die in the fall. 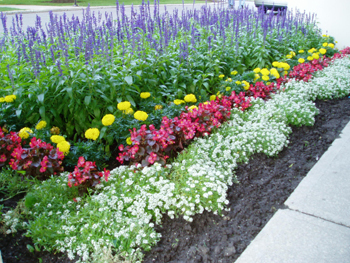 However, the visual beauty and appeal of well selected and strategically planted flowers will undoubtedly create a colourful welcoming and peaceful environment and leave a wonderful impression for all to enjoy.